This is at least the third CD reissue of this third album by the Belgian band Machiavel: a near-bootleg issue transferred from scratchy vinyl was released in the late 80s, then last year it was released briefly by EMI. This latest issue is the first that's found its way to the States in sufficient numbers. 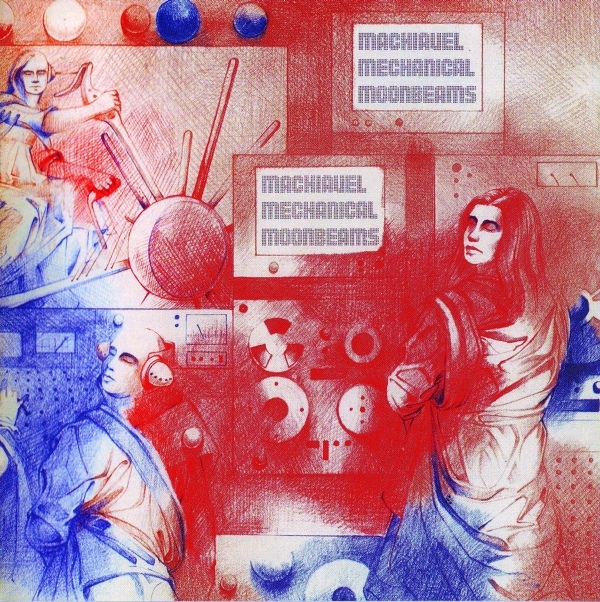 This was perhaps the band's best known record, a strong and confident progressive rock fronted by chameleon vocalist Mario Guccio, the music a melodic hybrid of styles with pointers to early Genesis, Supertramp, and the German symphonic bands like Anyone's Daughter, Novalis, and Grobschnitt. Tracks like "Summon up Your Strength" and "Beyond the Silence" show they are not afraid to rock, yet tunes like "Mary" and "Rope Dancer" demonstrate a melodic sensitivity and warmth. But it's on the longer opuses like "Rebirth," "After the Crop," and "The Fifth Season" where they really show their best side: heavy use of dynamic range, powerful symphonics, heaps of Mellotron and bass pedals; what more could you want? The lyrics are in English, and, while they certainly won't go down in music history as some of the finest, they're not bad and tend to be unobtrusive. Unfortunately, only the first of the two bonus tracks fares well next to the others, the second one is a detraction and should've been left off. Unlike previous issues, the original cover artwork by Celle was preserved in miniature, complete with the gatefold.